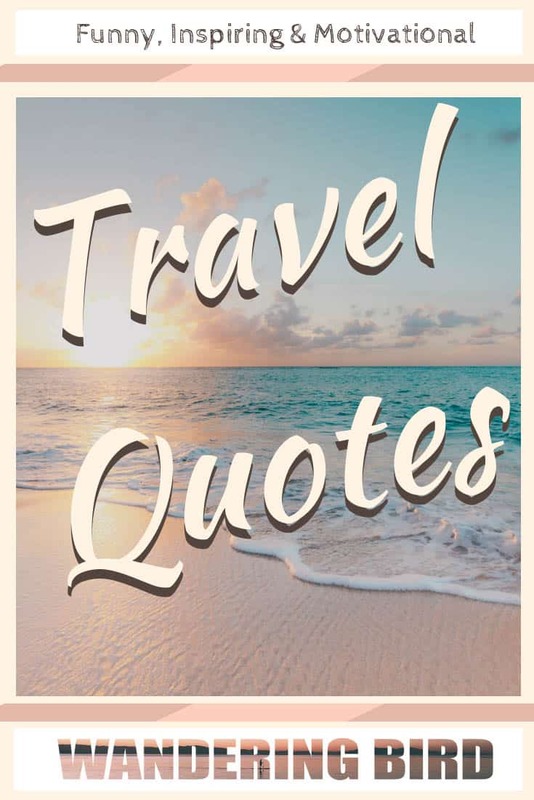 Road Trip Quotes – 56 Funny & Inspiring Quotes for your adventures! I am living proof that a good quote can change your life. Seriously- last year I heard a quote, realised my life needed to change, quit my job and have been trying to live by that quote ever since! I hope these funny and thought-provoking road trip quotes will inspire you to have your own adventures, whatever that means to you. Who knows- maybe they'll change your life!! So there you have it- 56 inspiring, funny and thought-provoking Road Trip quotes. I hope you enjoyed them. Which was your favourite- let me know in the comments below. – I want to see the best Travel Gadgets to make my trips awesome! – Europe? Nah- take me to Mexico! Enjoyed this post? We'd love it if you took a second to share it on social media- your actions really do make a difference. Thank you. I love these. I’m a middle ground weirdo that has managed to start seeing the world but I still have loads of stuff I collect… haha!! haha- so do I, especially just after Christmas!! I love the J.K.Rowling quote about never giving up on the chance of seeing places, things! It’s sometimes difficult, or we have too many things going on, not enough money, time, etc., but hope and dreaming are wonderful things. Loved these…I’m a huge quote fan! Okay! Hands down this is the best thing I read today! Awesome compilation of super interesting quotes! I am surely going to save it to caption my pictures for my upcoming road trip! Loved it! Being a true Sagittarian (30 November) it’s essential that I travel. My astrological sign demands that I always have to see what is around the next bend and over the next hill. Similarly, material possessions mean nothing in comparison with experiences. Sure, I’m often alone, but I’m never lonely as my two rescued dogs are the only company I need and hey, they love travelling as much as I do. Awww- dogs are the best companions! I hope 2019 brings you (and them!) many adventures.